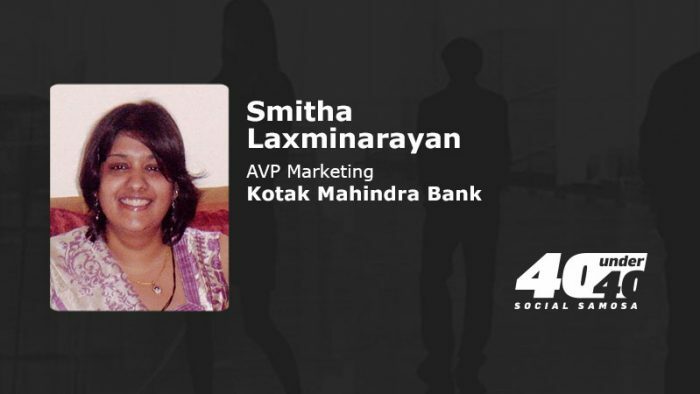 With over a decade’s experience under her kitty, Smitha Laxminarayan, AVP Marketing, Kotak Mahindra Bank and#SS40under40 winner shares her two cents on making it in the mad ad world. With experience across domains, Smitha understands the Indian Media, Marketing, and Advertising industry. In conversation with Social Samosa, she shares a crisp view of her journey and how the industry has evolved over the years. Here’s what I would say: Well do you remember the day when mom was late to pick you up from school. You got angry and then I treated you with your favorite ice cream by the time we reached home. The twist is I had ordered it online by the time we reached. ROI, Viral/WOM, organic vs paid, mashup, real-time marketing. #AllItTakes to just keep getting inspired, keep innovating, to learn from failures.